Robert Michael "Bob" Ojeda (born December 17, 1957) is a former Major League Baseball left-handed pitcher. Ojeda is best remembered as an anchor in the 1986 World Series Champion New York Mets starting rotation (along with Dwight Gooden and Ron Darling), and for being the lone survivor of a March 22, 1993 boating accident that killed fellow Cleveland Indians pitchers Steve Olin and Tim Crews. He is also a former pre- and post-game studio analyst for Mets broadcasts. Ojeda attended Redwood High School and College of the Sequoias in Visalia, California. Upon graduation, he was signed as an undrafted free agent by the Boston Red Sox in 1978. Though his first professional season with the New York–Penn League's Elmira Pioneers went poorly (1–6 with a 4.81 ERA), in 1979, as a starting pitcher for the Winter Haven Red Sox of the Florida State League, Ojeda went 15–7 in 29 games started earning a promotion to the triple A Pawtucket Red Sox for 1980. With a good earned run average, Ojeda was called up to the majors in July 1980. He made his major league debut on July 13 at Fenway Park against the Detroit Tigers, and was winning, 4–1, until the sixth inning when the Tigers scored three runs to tie the score, and knock Ojeda out of the game. The Red sox eventually won, 8–4. Ojeda's first victory was on August 2 against the Texas Rangers. Ojeda gave up no runs with four strikeouts over six innings. Two starts later, on August 11, he was removed from the game after having faced only three batters without getting an out, and was sent back to Pawtucket. On June 23, 1981, Ojeda was the winning pitcher in the longest professional baseball game in history. The game between Pawtucket and the Rochester Red Wings started on April 18 but was suspended after 32 innings. Ojeda started the 33rd when play was resumed two months later and got credit for the win when Pawtucket won in the bottom of the inning after eighteen minutes. The first 32 innings had taken over eight hours. Ojeda compiled a 12-9 record with a 2.13 ERA in 1981 for Pawtucket, and was voted the International League's Most Valuable Pitcher of the year. When the 1981 Major League Baseball strike ended, Ojeda's stellar ERA earned him a recall to the majors. He responded with a complete game seven-hit victory. This time, his stay in the majors was permanent, as he pitched well in all but his last two starts for Boston. 1982 went poorly for Ojeda in his first full season in the majors. After a couple of poor starts in May, he started splitting his time between starting and relief pitching and was shut down in mid-August with an ERA near six. When Ojeda returned home during the off-season, he was frustrated with his performance during the season and took up karate, saying that "I ever get back to the big leagues and get beat around like I got beat around, somebody's going to pay." In 1983, Ojeda turned things around for a Boston team that finished near the bottom of the division. As the fourth starter, he posted a 12–7 record and a 4.04 ERA which were both tops in the rotation. In 1984, Ojeda and Bruce Hurst were the number-one starters and Ojeda posted another 12 wins (to go with 12 losses) which included a Major League lead-tying five shutouts. The Red Sox improved in the standings but Ojeda's numbers – including an ERA again near four – mostly stayed the same. When 1985 started, the Red Sox were overstocked on starting pitchers, including a young Roger Clemens, so Ojeda was relegated to the bullpen. He pitched so well in that capacity that he was moved back into the rotation at the end of May, but his ERA again ballooned over four, prompting the Red Sox to trade him after the season. The eight-player trade seemed minor at the time but would have repercussions the following year as it sent Ojeda to the New York Mets and Calvin Schiraldi to the Red Sox. Both would play important roles in the 1986 World Series. In 1986, Ojeda was fantastic for the Mets almost from day one. Despite starting in the bullpen and then being only the fourth starter, he finished with an 18–5 record, 2.57 ERA (second-best in the league) and 148 strikeouts – all career-bests. He got through the fifth inning in all but two of his starts and allowed zero earned runs in eight different starts. His lone blemish occurred off the field when, on July 19, he and teammates Ron Darling, Rick Aguilera, and Tim Teufel were arrested outside a bar in Houston, Texas for fighting with security guards (who were also off-duty police officers). All four were released in time for the following game and the worst repercussions were $200 fines. The incident fueled the 1986 Mets' reputation as a rowdy crew. The team cruised through the 1986 regular season, building a double-digit lead before July that only widened in the second half of the season. After the Mets dropped the opening game of the 1986 National League Championship Series to the Houston Astros, Ojeda pitched a complete game to easily win Game 2. He also started Game 6, but gave up three runs in the first inning. The Mets recovered to tie the game in the ninth, and won in sixteen innings to earn a trip to the World Series. The Mets' opponents in the World Series were Ojeda's old team, the Boston Red Sox. While the Mets won the NLCS in six games, the Red Sox had to overcome a three-games-to-one deficit to squeak by the California Angels in the 1986 American League Championship Series. Despite being heavy underdogs in the WOrld Series, the Red Sox shocked the Mets by winning the first two games of the World Series at Shea Stadium. With the Mets back in Boston staring at disaster, Bob Ojeda pitched in Game 3 and cruised to a 7–1 victory. When Mets ace Dwight Gooden again faltered in Game 5, they needed another big performance in Game 6. They turned to Ojeda, but this time, he was less than perfect, giving up two early runs. The Mets recovered later to tie and Ojeda left the game with a no-decision. When the Red Sox scored again to take the lead, they turned to the pitcher they traded Ojeda for, Calvin Schiraldi, to close out the World Series. Instead, Schiraldi gave up the lead after just five batters. With another chance to close out the first Boston championship since 1918, Schiraldi let the tenth inning turn into a legendary comeback and nightmare for Bill Buckner and the Red Sox. Ojeda had surgery in May 1987 and missed most of that season. He pitched well in 1988 and in September The Mets clinched the NL East. This victory marked a point where Ojeda's luck would change as he was involved in a bizarre incident where the tip of his left middle finger was severed by an electric hedge trimmer. After microsurgery to reattach his fingertip (and save his career), he missed the playoffs and the Mets lost the NLCS. Ojeda did not recover well, declining in 1989 and spending most of 1990 pitching out of the bullpen. After 1990, he was traded to the Los Angeles Dodgers for Hubie Brooks. In his first season with the Dodgers, Ojeda pitched well as their only left-handed starter. He won an important game in the heat of a pennant race but the Dodgers lost three of their last four games and missed the playoffs. In 1992, his numbers sank some and he became a free agent after the season. After six weeks as a free agent, he was signed by the Cleveland Indians. The Indians were in Winter Haven for spring training on March 22, 1993 when Ojeda went on a boat ride with new teammates Steve Olin and Tim Crews at Crews's home in Clermont, Florida. Crews was legally drunk and it was nearly dark when the boat struck a pier on Little Lake Nellie, killing Crews and Olin. It was the first death of active major league players since Thurman Munson in 1979. Ojeda suffered major head lacerations and sat out most of the season to recuperate both physically and mentally. He attributed the fact that he was slouching in his seat at the time of the accident for saving his life. He returned late that season and had a 4.40 ERA in 43 innings..
Ojeda became a free agent after the 1993 season. He was signed by the New York Yankees for 1994 but pitched poorly in two games and was soon released. He retired as a player soon after. Since retiring, Bob Ojeda was out of the public eye until 2001 when he was hired as the pitching coach for the Mets A-level Brooklyn Cyclones. After two seasons in Brooklyn, he was promoted to be the pitching coach of the AA Binghamton Mets for 2003. In 2003, the major league Mets suffered with terrible pitching throughout the year, resulting in pitching coach Vern Ruhle being fired. While they were searching for a new coach, Ojeda's name was mentioned as a possibility but the job ultimately went to Rick Peterson who was Mets' manager Art Howe's former coach with the Oakland Athletics. Not long after, Ojeda left the Mets, criticizing the organization as a whole but saying his unsuccessful candidacy for pitching coach was not a factor. 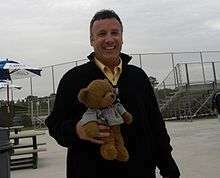 In 2005, Ojeda was named the pitching coach for the Can-Am League's Worcester Tornadoes under Worcester manager and Ojeda's former batterymate, Rich Gedman, helping the team win the Can-Am championship in its first year. After the 2007 season, Ojeda left the coaching staff to join the front office. In 2008, Ojeda joined the Rumson-Fair Haven Regional High School baseball coaching staff as a pitching instructor. In 2009, Ojeda joined SportsNet New York as a Pre-Game and Post-Game studio analyst for New York Mets Broadcasts with Chris Carlin. Ojeda left SportsNet NY after the 2014 season. In May 2012, Ojeda wrote an article for The New York Times titled "My Left Arm". He talks about the pain he went through pitching in the Major Leagues. Ojeda has a wife, a son and five daughters. They reside in Rumson, New Jersey. ↑ "Boston Red Sox 8, Detroit Tigers 4". 1980-07-13. ↑ "Boston Red Sox 1, Texas Rangers 0". 1980-08-02. ↑ "Detroit Tigers 8, Boston Red Sox 7". 1980-08-11. ↑ Media, Living In. "An Extra Inning". Profile on Ojeda. Living In Media. Retrieved 15 May 2012. ↑ Durso, Joseph (September 22, 1988). "Mets Clinch Tie for Title but Lose Ojeda for Season; Pitchers Finger Severely Cut". The New York Times. ↑ "Baseball; Ojeda Discusses The Crash". The New York Times. June 26, 1993. Retrieved October 27, 2014. ↑ "Transcript of "Outside the Lines: Indians Boating Tragedy"". ESPN. March 16, 2003. Retrieved September 29, 2016. ↑ Harper, John (January 12, 2004). "Bobby O rips into Mets: Says team going wrong way". New York Daily News. Archived from the original on August 4, 2004. ↑ Bob Ojeda profile at the Tornadoes web site Archived June 1, 2008, at the Wayback Machine. ↑ Raissman, Bob (March 27, 2009). "Meet Mets' SNY studio team: Chris Carlin and Bob Ojeda". New York Daily News. ↑ "In first interview since SNY exit, Bobby Ojeda takes jab at Mets GM Sandy Alderson". New York Daily News. February 4, 2015. Retrieved February 4, 2015.